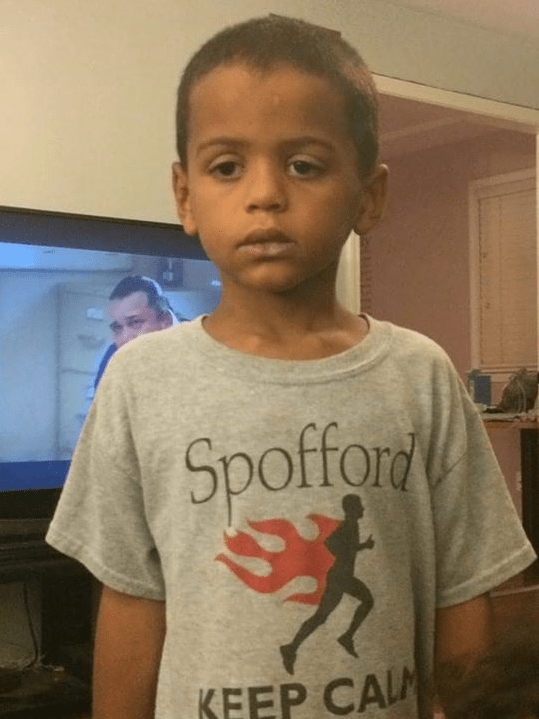 Authorities believe Adrian Jones, age 7, was murdered by his father, Michael A. Jones, and his stepmother Heather Jones. Heather Jones homeschooled Adrian and his 7 sisters (ages 11 to 1). Adrian and two girls were Michael’s children from previous relationships, while the other four girls were Michael and Heather’s biological children together. Former babysitters of the family have reported that the Joneses’ home was filthy, that they witnessed Michael Jones abusing Adrian and his siblings, and that Heather Jones hated Adrian and wanted him dead, depriving of food and forcing him to stand in a stress position for long periods of time. Adrian went missing in September, but the authorities were not alerted until police were called to the home on November 25 for a domestic dispute. When the police returned the following day, they discovered Adrian’s decomposed body in a barn on the property; his body had apparently been fed to the family’s pigs, which Heather purchased in September. The Joneses were both charged with first-degree murder and child abuse. Michael was also charged with aggravated assault and battery with a deadly weapon; this charge stems from his abuse of Heather. The other children were removed from the home.